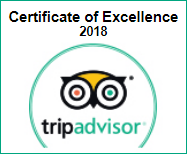 Welcome to the multi award winning Balmoral On York. Experience the difference that our friendly efficient service and comfortable spacious accommodation make to your visit. Offering a variety of spacious accommodation options and free WiFi, Balmoral On York is located just 400 m from Launceston's CBD and a short walk from vibrant restaurants and bars. There is an on-site restaurant that serves breakfast and a bar that serves beverages until 19:00. Please enjoy our friendly service and spacious clean rooms when you next stay in Launceston. All rooms have complimentary superfast NBN wireless internet with Apple TV’s showing unlimited Netflix and Stan streaming services for you to enjoy. Our social media services just get better with all Foxtel sports channels (including ESPN, Sky Racing and Fox Footy) plus a huge range of movies and free to air digital television..
Come and see why we are the accommodation provider of choice for most business travellers with the perfect location on the edge of the CBD, a close walk to all cafes, shops and restaurants. 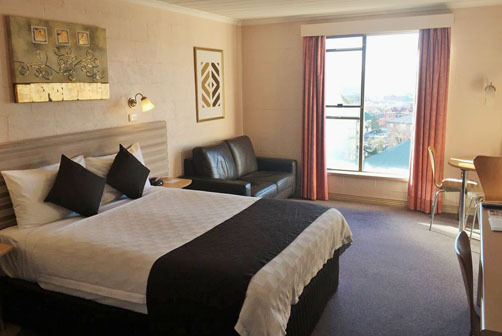 Our city side rooms enjoy some of the best views across the CBD and down to the Tamar Valley as we are one of the tallest buildings (four storeys with a lift) in town. 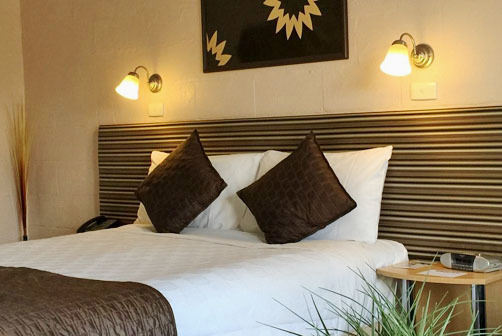 We invite you stay to enjoy the leather couches, five star quality beds, renovated corporate style bathrooms and modern remote climate controlled heating and cooling in all rooms. If you desire a walk to our famous historic parks, all can be reached within a 5-10 minute walk of our property or if you need to see one of the many specialist medical facilities or hospitals, they are very near within 10-15 minutes or a very short drive by car.